Greetings everyone, and boo. 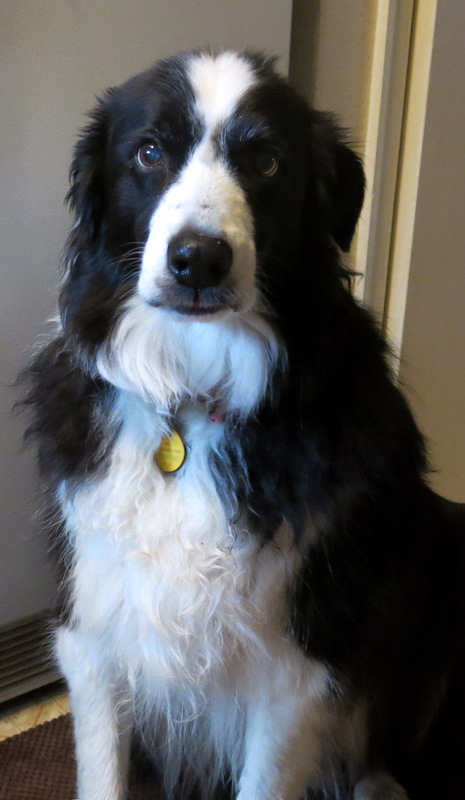 Yes, once again, it is I, Chess the purebred border collie, who’s totally against anything even remotely scary. You may remember me from such posts as “A Close Call” and “The Happy Elephant”, among so many others. Here I am in a characteristically noble pose. I know I have something on my nose, but I don’t think it detracts much from the essential nobility. Hardly anything has been done in the last couple of days. Those are the best kind of days. 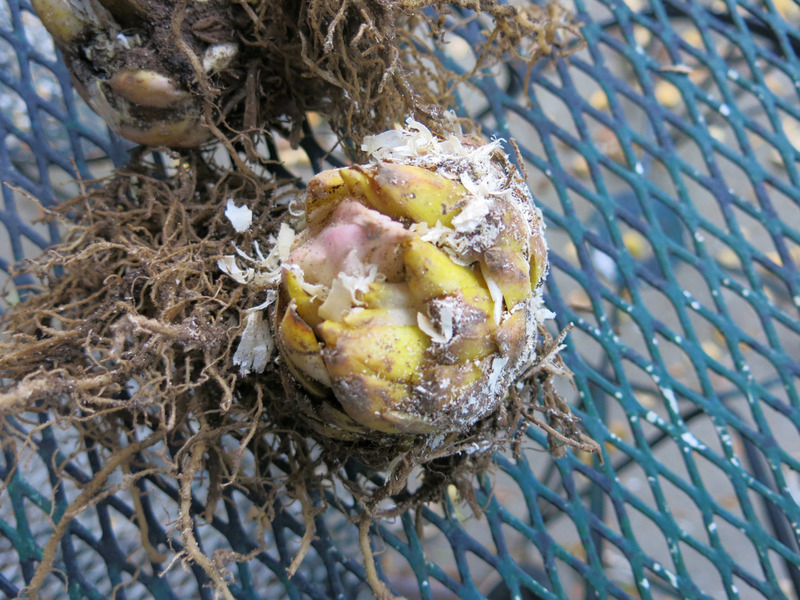 The guy I live with got a few lily bulbs in the mail from B&D Lilies, and planted them yesterday. “The roots go at the bottom”, he said, which was good to know. He’s not much into lilies but they had some species lilies (Lilium martagon) which, of course, being a snob and all, he had to have. He admits that he also got bulbs of a hybrid, ‘Mrs. R. O. Backhouse’, which these are bulbs of. (The guy I live with says that isn’t proper English, but I typed it anyway.) They’re supposed to be planted in “deep, leafy soil” which he doesn’t have any of, either. (So there.) This is despite 25 years of working leaves and stuff into soil to get “leafy soil”, but nothing has really happened. Like when gardening books say to dig in a bunch of “leaf mold” and the guy I live with makes all these phone calls to get some and no one knows what he’s talking about even though he read it in a book, so it must exist. He did not get the lily with the color of women’s old underwear, which he still wants, but nobody has. The lily, not the underwear. You know, Lilium × testaceum, the Nankeen lily, supposedly the same color as Queen Isabella’s underwear which she refused to change until the siege of someplace or other was lifted, and, well it’s not really a true story anyway, even though it’s been told before on this blog (telling it twice doesn’t make it true), but the color, isabelline, is real. “Who doesn’t like a good underwear story in the middle of talking about gardening?” the guy I live with said, and I think the answer would be me. The guy I live with did spend some time bolting the fence around “the enclosure”, or at least the part that’s falling over, or part of the part, and then he got this “brilliant” idea to cut some champagne bottles in half and use the bottom halves as sort of stepping stones, or something like that. He’s not sure he likes the way these look, but he says he’ll cut more tomorrow and maybe show pictures and everyone can see how awful this really looks. Picasso he is not. So it’s Halloween. My least favorite holiday after Fourth of July. Scary little kids coming to the door again and again. The guy I live with is desperately trying not to eat all the Kit Kats he bought for the kids, but it could be a losing battle. It’s really windy and kind of chilly, dry leaves are blowing all over the place, and so we have a movie sort of showing that. It isn’t scary or anything, not like “The Conjuring” which the guy I live with saw recently and said was really scary, but at least it is seasonal. The guy I live with put off raking leaves because the forecast said it would be windy, and he says “wind is a good way of getting rid of leaves” except that they’re blowing into the garden, not out of it. Well, what can you do? I guess that’s all. Maybe tomorrow he’ll have something interesting to say. It has to happen eventually, huh. “Boo” backatcha, Chess. I’m surprised you don’t find the wind noise scary, sounded loud to me. I do appreciate a good weather video, thank you very much. Speaking of pictures, the photos on this blog are impressive and fine. I say this who spent Sunday and Monday photographing my own garden, to no good end. I don’t know about old underwear – though that is a pretty name, isabelline – but there is an old rose named “Cuisse de Nymph,” which apparently reflects the coloring of some young lady’s inner thigh. And leafy mold does exist. I’ve been researching an article in 1914 California Garden magazines, and repeatedly readers are urged to take carriage or automobiles into the nearby mountains and shovel in leafy mold from deep piles that have accumulated since times more ancient even than 1914. Back in the city, said leafy mold gets shoveled into clay/sand to happily amend the soil. Eden emerges. Evidently, not enough folks listened because I’ve been looking around and I just don’t see it. The wind was kind of scary. Thanks, the guy I live with just started using a camera when he started this new blog. My mommy took all the pictures on the old blog (which is gone forever), and for the last book, etc. He says he’s semi figured out the Power Shot (without of course reading the instructions) but the DSLR is a complete mystery. Some pictures have been taken with it, though. The rose with especially pink coloring is called Cuisse de nymphe émue, thigh of the nymph aroused. Those French, huh. You’d think that would be a big seller. Driving into the mountains and swiping leaf mold sounds very old fashioned indeed. I wonder if the guy I live with’s grandmother, who would have been in her early twenties at the time, drove through the bean fields that were most of west Los Angeles up into the mountains to swipe leaf mold. There’s no record of it in the family history. Tell the guy you live with that if he collected all of those leaves, shredded them and piled them up, next spring he’d have leaf mold right in his own back yard! Yeah, there’s that. It sounds an awfully lot like work …. What he really does is rake most of the into the side yard where they get watered, and break down in about ten years. Back east I had a leaf shredder which I used, when in a proper gardening frame of mind, on the tons of leaves dropped each fall by the yellow maple, sweetgum, and white ash in my quarter-acre suburban yard. It made beautiful piles of leaf “powder”, tiny enough (one hoped) to fold straight into the Virginia clay. Not really leaf mold, but perhaps it became such by the spring. –Speaking of those three trees, I’ll bet the sweetgum balls I had to rake up each year were more annoying than your locust pods. Beautiful tree for fall color but I don’t miss those balls. Ach! We have some gum balls, collected in Pennsylvania. I think there aren’t really enough leaves here to make a shredder worthwhile. The guy I live with complains about them, but that doesn’t mean there are a lot, it just means he complains. It is a battle not to eat all the Kit Kats, but I was happy to find that one serving size is three wrapped twin bars. I also bought Rolos, Reeses, Paydays, Twizzlers, Smarties and Bubble Gum. Too much candy, not enough little ghouls…I mean kids! It’s too dry in my corner of sunny Cali to get leaf mold from the nearby mountains, as they evidently did in 1914, but I do compost leaves (and other stuff). I’ve been battling pill bugs in my compost, though. The little boogers are murder in the mulch. Oh dear. Rolos are good. There are so many leftover Kit Kats. So many Kit Kats. The guy I live with would claim that the kind of gardening he does isn’t the kind of gardening where leaf mold is important, except of course where lilies are concerned. There was a compost pile in the “way back” in his grandparents’ garden in Los Angeles that might have been there since the 1920s and he never knew what it was for, except that you threw stuff into it, and there were reddish salamanders in it. Up to a point, yes. Chess, the fifth Beatle. I have the framed cover of Meet the Beatles hanging above my desk so I immediately saw the resemblance. The soul of great garden writing is digression, and a story about a Bourbon Queen’s underwear is a most excellent digression. 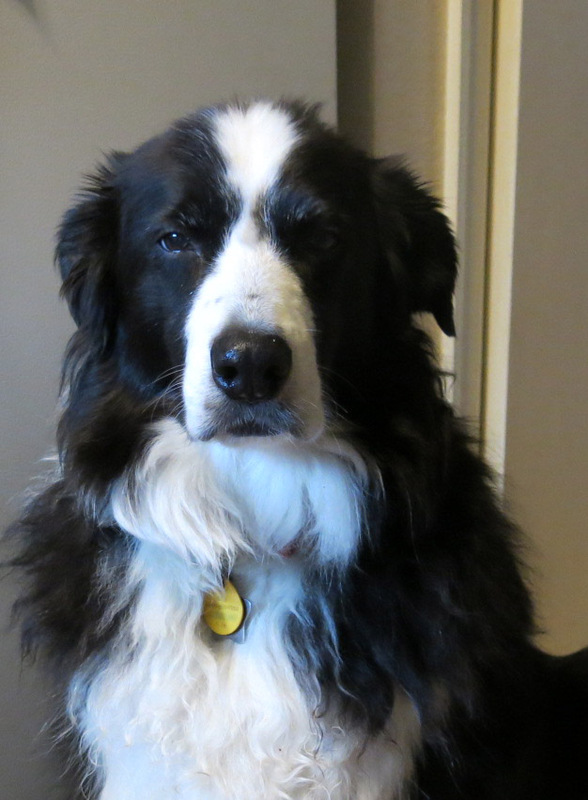 Hmmmm…if only a garden writer could figure out how to finagle on-going digressions about a purebred border collie into his posts that would be a recipe for garden writing genius, if only…. Here on the shores of the Long Island Sound, families with young kids tend not to buy 100-year old houses, such as what makes up my neighborhood. No “great room”, no “bonus room”, no “media room”, no “open floor plan” in these relics. I used to stock up for Halloween, but I quit buying treats after my third year here. Now, when the odd tyke rings the doorbell I just drop a dollar bill into the sack. The last time I gave away money was 2009. I hate to say it, but I do miss the trick or treaters. There’s the cover of Rubber Soul down in my mommy’s room, but it’s the guy I live with who really remembers the advent of the Beatles here in 1964 and how kids would get ostracized for having Beatle haircuts and wearing Beatle boots. Check out this reactionary tune by The Barbarians. https://www.youtube.com/watch?v=Yiwvti7txCM The guy I live with remembers when it was on the air. “I Want To Hold Your Hand”, too. He’s old. There were maybe two dozen kids total. I didn’t get in much barking. When the guy I live with and my mommy went to wherever it was they went in the southwestern corner of Massachusetts, they drove by all these 1790s salt boxes that my mommy said she wanted. I think she would have taken any one of them. The guy I live with said they were expensive and that he wouldn’t’ve been able to tolerate the summer “muggs”. They did drive past the very Tolkienish sounding Under Mountain Road, where Linc and Laura Foster had their famous garden at Millstream. Wow Rolos, I haven’t had one for years, I wonder if they are still available here, I used to love them, memories… I think you look more noble in your second photo Chess and bored and sleepy in the first, maybe you did too much gardening and just want a biscuit and a nap. Scary video with the darkness and the wind, makes you want to snuggle. It was kind of scary. I’ve never had Rolos, though the guy I live with certainly has. He can eat them all in one sitting.